Twelve years have elapsed since Northwest Film Forum's astounding 5 week, 27 film series, Sacred Cinema: The Yasujiro Ozu Retrospective of early 2005. In the ensuing decade span of time there have been notable single screenings of the Japanese master's film, but nothing approaching the selection on offer in Seattle Art Museum's Family Circle: The Films of Yasujiro Ozu. Illustrating the significance of Yasujiro Ozu's body of work, there are few better points of entry than Mark Schilling's "Re-Examining Ozu on Film". 50 years after the director's death, Japan Times hosted this great overview of the director's life, cinema, cultural and social contribution to Japan's post-War image of itself. It's of note that what many consider to be his masterpiece, "Tokyo Story" was Rated #1 in the director's poll and #3 in the critics' poll in the British Film Institute's Greatest Films of All Time feature of 2012. Ozu's stature among directors and lovers of world cinema further reinforced by pieces like Dave Thompson's Best Arthouse Films of All-Time column, Peter Bradshaw's "The Quiet Master" and Ian Buruma's "Yasujiro Ozu: An Artist of the Unhurried World", for The Guardian. 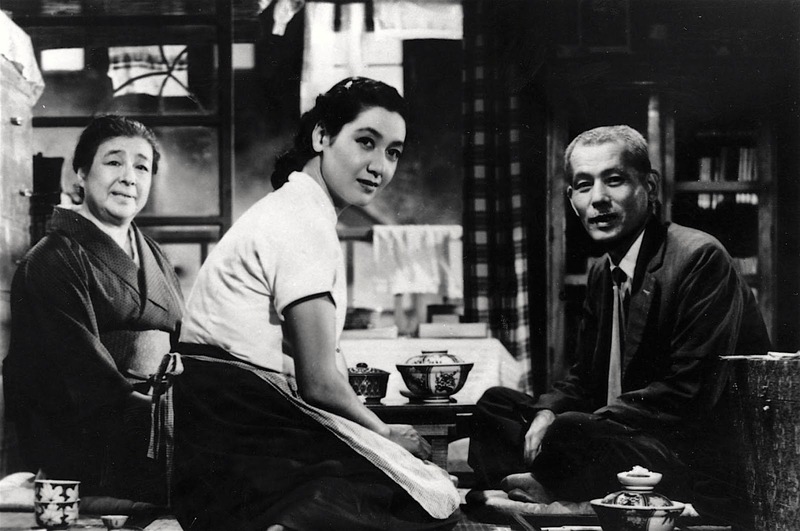 Further reading can be found in David Bordwell's essay for Criterion, "Tokyo Story: Compassionate Detachment" and The Guardian's reviews of his final films, all going some way to describe why Ozu's quiet, poetic and personal reflections on Japanese society are regarded as legendary within the canon of world cinema. Another essential element of the filmography explored in Bradshaw's feature on Ozu's longtime lead and on-screen avatar, "The Heart-Wrenching Performance of Setsuko Hara, Ozu's Quiet Muse". On the subject of the western reception of Ozu, and Japanese film in general, the genesis of recognition and appreciation can be largely traced the work of one man and the retrospective of five films curated by critic Donald Richie for the 1963 Berlin Film Festival. Predating this influential moment in film history, Richie was a champion of all things Japanese cinema, as a post-War Japanese citizen, journalist and critic, author of "Ozu: His Life and Films" and reviews like that which he did for Ozu's "Floating Weeds" upon it's release in 1959. Over the decades following there were other high profile culture figures attuned to Ozu's quietly stirring dramas, no surprise then to find Roger Ebert among them, and arthouse institutions who had embraced his work, like those depicted in Richard Combs "The Poetics of Resistance" for Film Comment. No shortage of contemporary analysis, appreciation and criticism on Ozu's filmography exists in the digital age, with a small selection of highlights represented by Senses of Cinema's Great Directors feature on Ozu and the abundance of essays and releases offered on the Criterion Collection.